Our Form Analytics tool has just arrived. Analyze data, improve responses, learn from customer behaviour and raise your conversion rate. JotForm is the only tool you require to understand the need of your customers. Everything happens magically, no programming required! See how many people viewed your forms, how many responded, and where the traffic is coming from. 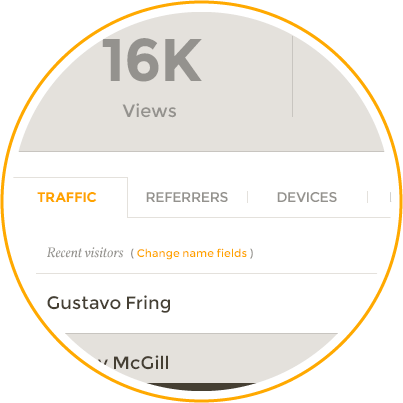 The traffic panel shows in detail where your visitors are originating from, which technology platforms they use and on which devices they interact with your form. This information comes in handy when prioritizing the questions on your form. View form submission data visually. 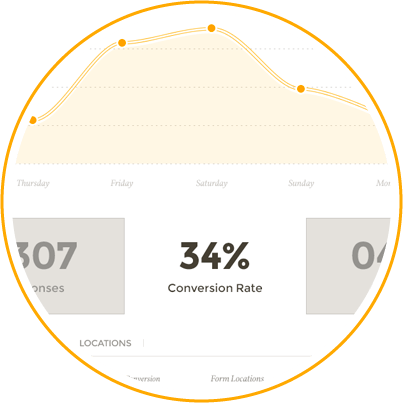 See your response rates and traffic shown on a beautiful timeline dashboard. Filter among traffic sources, devices, locations, browsers, operating systems and other crucial data sets. Your data will be gathered in your analytics account and you will be able to analyze user behavior and statistics over time. Adjust your form to customer responses and reveal differences that could be vital to your business. Your conversion rate is key. A low conversion rate tells you that your view rate is high but the interaction is low. It indicates that your questions might be too long or that there is room for improvement. A higher conversion rate means you're getting the valuable information you need.